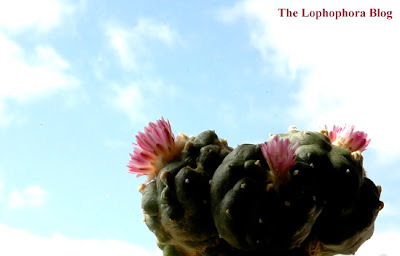 I'm fascinated by time-lapse videos - especially the ones that include cactus related footage. Tom Lowe is a great inspiration when it comes to time-lapse filming and has recently released the movie TimeScapes that features stunning slow-motion and time-lapse cinematography of the landscapes, people, and wildlife of the American South West. 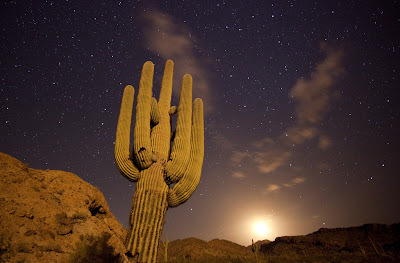 Tom has made several clips available on Vimeo including the one below featuring giant saguaro cacti (Carnegiea gigantea) reaching for the soaring night sky. A particularly epic sequence is filmed on the East side of the US Air Force's Goldwater bombing range near Ajo, Arizona, and shows a saguaro cactus (Carnegiea gigantea) towering in a desert landscape painted by the lights from military flares dropped from planes. The above picture is courtesy of Tom Lowe @ Timescapes' photostream (where you can find a lot more beautiful photos). As a curiosity it can be mentioned that I broke the shutter of my old Nikon D70 doing the above time-lapse video a couple of years ago. 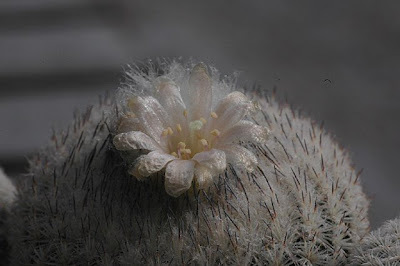 The video is rather short (as the shooting ended prematurely) and doesn't show the flower unfold, but I thought it would fit nicely with this post, illustrating the passing of precious time. 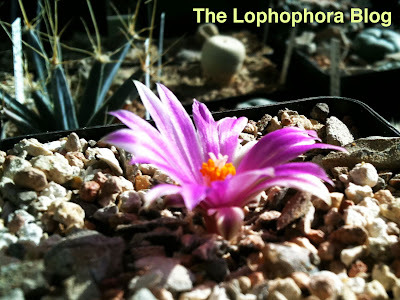 Most of my coldhouse grown Epithelantha micromeris v. greggii (Cuesta la Muralla, Coahuila, Mexico) flowered big time this week. 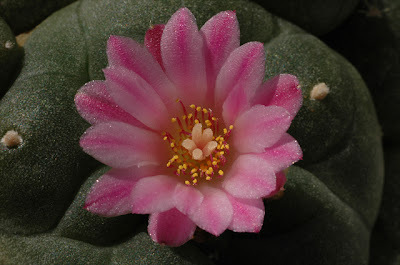 The plants were started from seed in 2004 and are flowering for the first time. 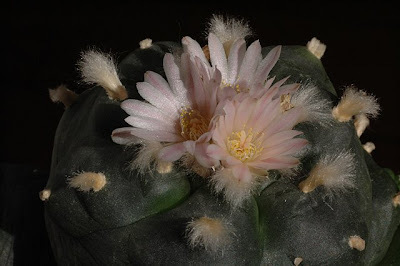 The small creamy, off-white flowers are not spectacular but still quite a beautiful sight, especially when several are blooming at the same time. 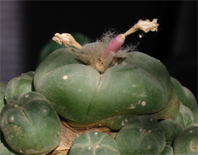 The following time-lapse video shows a flower going from bud to full bloom. The pictures used for the time-lapse were taken every 15 seconds over a two hour period. The pictures are played back at a rate of 10 frames per second, i.e. the flowering is speed up by a factor of 150 resulting in a 48 second video. The camera was placed on an old wooden floor resulting in a couple of "wobbly" sequences. 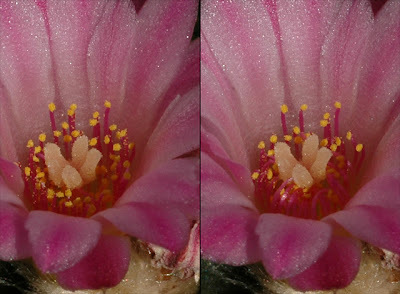 The photos were taken using natural light only, the shifting light levels are caused by drifting clouds. 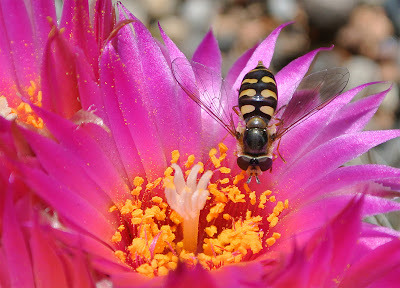 I attempted to cross-pollinate several of the plants and are hoping for seeds next year. 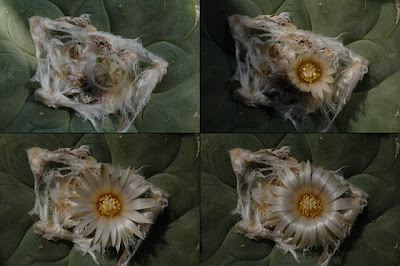 None of my Ariocarpi have flowered yet, but this video (1.1MB) of a flowering Ariocarpus fissuratus var. hintonii gives a good impression of what to expect. 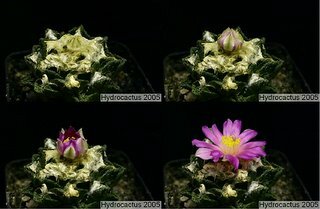 More amazing videos of flowering cacti can be found at the Hydrocactus video page.